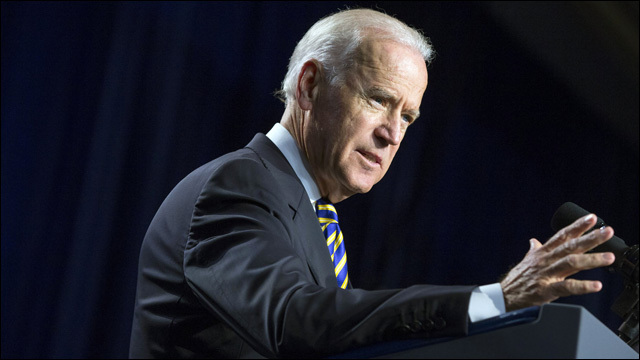 "You know, on the way back from Mumbai to go meet with President Xi in China, I stopped in Singapore to meet with a guy named Lee Kuan Yew, who most foreign policy experts around the world say is the wisest man in the Orient," Biden said at the kickoff for the "Nuns on the Bus" tour today. The word "Orient" is considered widely outdated and could be perceived as offensive, or insensitive, especially when used in reference to people. The Republican National Committee jumped on the remark, with its Asian-American spokesman Ninio Fetalvo saying in a statement, "Vice President Joe Biden's insensitive remarks are offensive to both Asian-Americans and our Asian allies abroad." This came shortly after the Veep apologized for his use of the word "Shylocks" -- an anti-semitic slur -- in another speech the previous day. I guess nobody bothered giving Joe the memo about using "Oriental"... because, let's be honest, he probably wouldn't have read it anyway.